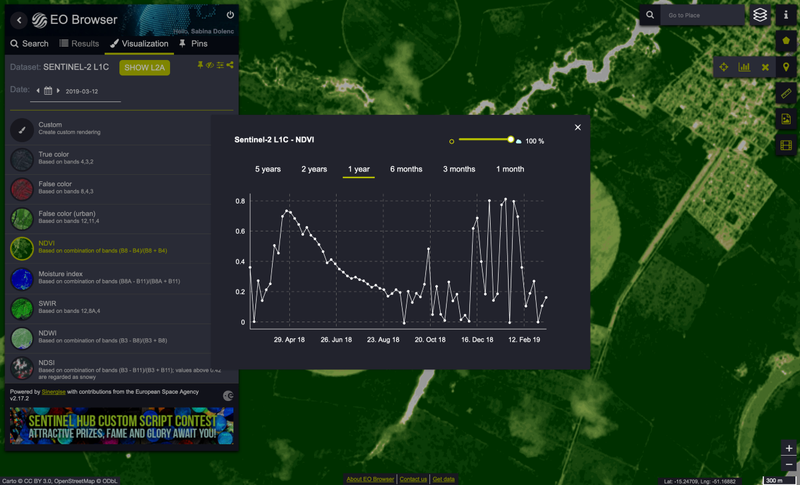 Sinergise, the company behind Sentinel Hub, offers use of its services over a three-year period in total worth of €300 000 to successful applicants of the Group on Earth Observations — Amazon Web Services Earth Observation Cloud Credits Programme. This contribution supports countries and organizations planning to use Earth observation data to monitor progress against the United Nations Sustainable Development Goals. In December 2018 Group on Earth Observations (GEO) and Amazon Web Services (AWS) announced partnership to offer GEO member states and research organizations from developing countries free access to cloud services and resources to help with hosting, processing and analysis of big Earth observation (EO) data for sustainable development. Using AWS, the credits are being made available to enable government agencies and research institutions to build EO applications that support environmental and development goals, including the Sendai Framework for Disaster Risk Reduction, the Paris Agreement and the United Nations Sustainable Development Goals (SDGs). Here at Sinergise we decided to join the effort and help the GEO community make their remote sensing journey easier and faster. By offering use of Sentinel Hub services to all participants of the GEO-Amazon Programme we are opening the doors to an indispensable resource unifying the access to Copernicus and Landsat data. “We are honored to be part of the AWS-GEO initiative in building capacity to use EO data for sustainable development. Sentinel Hub will make it even easier to create applications and make the plethora of satellite data available to just about everyone.” said Grega Milčinski, CEO at Sinergise. Satellite data is valuable only when consumed, and is most beneficial when used to monitor the planet for better management of our environment and resources. 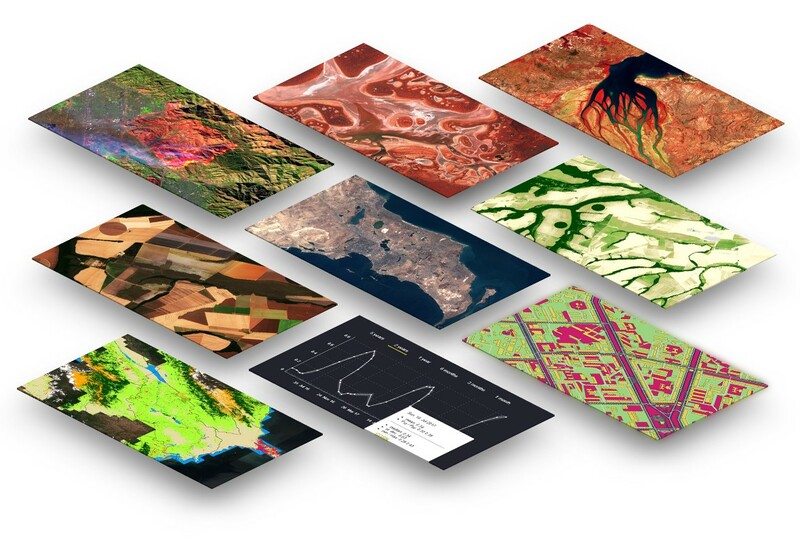 The Sentinel Hub services enable access to the most commonly used satellite datasets, including Copernicus Sentinel-1, Sentinel-2 and Sentinel-3, USGS Landsat, MODIS and others. All datasets reside on AWS and are seamlessly accessible with a cloud-based Sentinel Hub API. Sentinel Hub API enables everyone to build EO applications in a matter of days, even advanced ones like the EO Browser, which is available as an open-source project on the Sentinel Hub’s GitHub Repository, along with other useful resources. In a combination with cloud infrastructure and various open-source tools for machine learning, Sentinel Hub is an essential resource for developers of all levels. 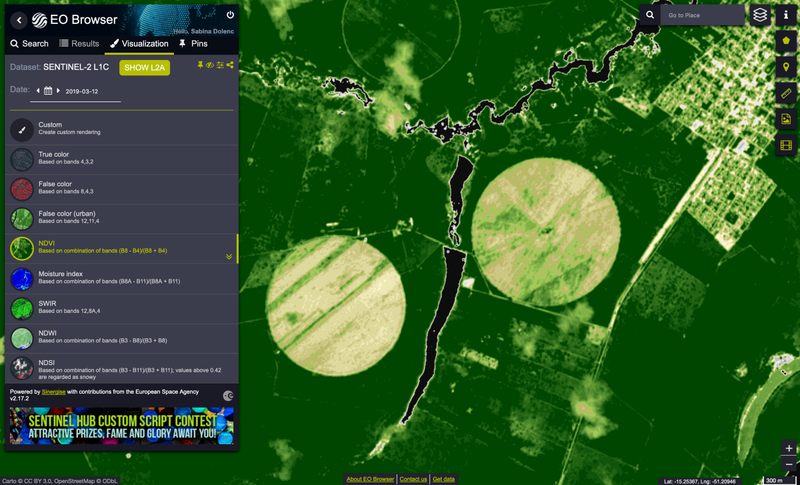 Circle Crop Fields west of Britania, Brasil (Sentinel-2 data acquired on March 12, 2019). Visualisation in NDVI — left, chart with filtered cloudy data — right. You can freely explore it further in EO Browser. The credits supported by Sinergise will be distributed by GEO to participants of the GEO-Amazon EO Cloud Credits Programme. Eligible agencies and research organizations from GEO Members categorized as Developing Countries by the UN Development Programme can apply for AWS cloud credits for non-commercial projects. In order to receive the credits, the applicants have to set up an AWS account and indicate in their proposal that they wish to use the Sentinel Hub service and provide an estimate of the area to be analyzed. For more detailed information on eligibility and credits see full application criteria. Interested applicants can submit proposals until 12th of April, 2019. Decisions will be announced by May 15, 2019, and cloud credits will be applied on June 1, 2019. For more information about the GEO-AWS Cloud Credits Programme we recommend visiting the Programme’s official web page and the GEO’s web page describing the Sentinel Hub credits.